"Yeamlkot melk alachew,haylun gin kidewal." The government must control these terriorist activities. Unless the government controles such distructive activities, it is diffcult to achive the vision of the country. This is because as institutions have great role in all aspects of the country's poverty reduction&developmental activities the distruction of institutions affects the country as well. EOTC as an institution had been play an emense role in over all history of ethiopia and will also for the future. So the gov't should protect her. Deje betibit mechem enante ena mahbere seytan be ewunetegna krestiyanoch laye bekinat tenestachehu wongele endayisebek yemitadergut yesem matifatena yehaset kese yetelemede nue. gen yehe yemedan guday selehone ena bedemu yetegezan yetewahedo lijoch nenena. Like yihuda baderegachehutena bemitadergut neger behuala tesesetachehu tankachhu endatimotuna yebedel bedel endayagegnachehu tetenkeku. Abatchehu diabilos yemiwtewun feligo endemiyagesa anebessa honoalina. dejeselamoch may our Almighty God bless you and Mahiber Kidusan "Ewunet tiketnalech enji atebetesem Egiziyabeher sele hak Yekomuten hulu yerdalen bitsu Abune Gebrieln Fetari yabertalen yatsinalen tewahido emenetachene ke Atserare betekerstiyan Yatsedalen yetebekelen Amen! ቀሲስ ሰሎሞን አሁን የነያሬድ አደመን ማንነት ተረዳኸው? our holy father Abune Gebriel let our almighty God be with you! Our Father you know how our church is in serious problem tha arise from both external and internal parties. so, don't dissturb by those aimless groups. please see the futurity of the church. we all, the son of the church and you, are aside of you. we will be with you through out our life. don't listen (don't give any attention)those aimless or anti-orthodox groups. they organized by cruels. our holy Father please be strong! please repeat our previous spritual fathers history! (sorry to say that).let oour Almighty God be with you and our church. Selam Le Dejeselamawian hulu Ene BUCHE BEDEMET AYEN ye betekristian heeg selaemayegezachew mengist yehnen awko learemachew yegebal mekeniatum enesu yemiamnut be hail newena Hawasawoch bertu Egeziabher kenante gar mehonun teredtachualena ebelete hailun yalbesacheu AMEN. i think it is the right time to avoid these people who we have been thinking of our brothers(cause we thought also we are children of one mother)but actually not. you we still stand on their side please prey for whether your belief is spiritual or "tifozo's". but me? no more on begashaw's.... side. cause i got to know all these stuffs. about mahibere kidusan, i gave time and try to investigate what they are doing, have been doing and plan to do in the future....i come to a conclusion that "this is the right ageligilot and with all our efforts we have to support them for better ageligilot"
May God be with us!!! yebegashaw telalkwoch (andand "senbet temari" nen bayoch) yemahberekidusan abalatn kedilla kidus mikael betekristian tselot endayadergu lemadreg firma eyasebasebu yigegnalu. abalatu kemekabre bet tekeliklew deji lay yearb tselot eyaderegu indeneber yitawekal. yeawasawn bitbit lemedgem eyemokeru new. Engedeh min enelalen amlake kidusan firduen yiste engi gen esk meche enezeh sewoch betekiristyan ena ye betekiristyanen lijoch eyasededu yinoralu, birr ena kiber filega degmom be kiteregnnet. 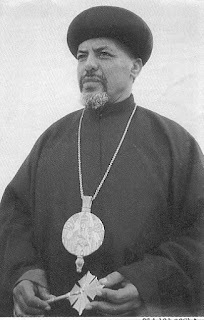 Dilla lalut Christanoch tselyulachew tesfa endaykortu endiberetu endaydenegetu. I think the government is now doing good but I still fear the interferance of the patriarich that may distract the nice start as usual. If our church was able to follow the diciesions made by the Holly Synod without the patriarich's interferance we would do a lot of work that is usfull for the church and the country. So they inhiveted us from doing a lot and that is " yegir esat" for me. This generation has numerous asignments not yet done but the mafiya groups forced as to talk about them and forget our asignments. Please lets try to close this guys ajenda once and for all and start working. To do this work could be done at the top level (particularly on the patriyarch)by becoming close to the government and telling what he is realy doing (all the disterbances are b/c of the patriarich) so that either he will be corrected and be true leader ( less probable) or leave our mother church. I am sure If we are real chirstians and dont touch poletics the government will support us. Amilake Kidusan Yiridan Amen. Sew Sayehone Balebe'tu erasu endadergew hulum yereda! Seletaserutem entseleyalen leb yesetachew zened! Gene ene yaread Begashaw .... MENE bedelenachehu Satekeberu akebernachu, AWAQI satehonu TAWAQI aderegenachehu tadiya kezihe belay mene enaderge SELEMEN DEBEDEBACHEHUN? TEBASA Ayedenemeko! !